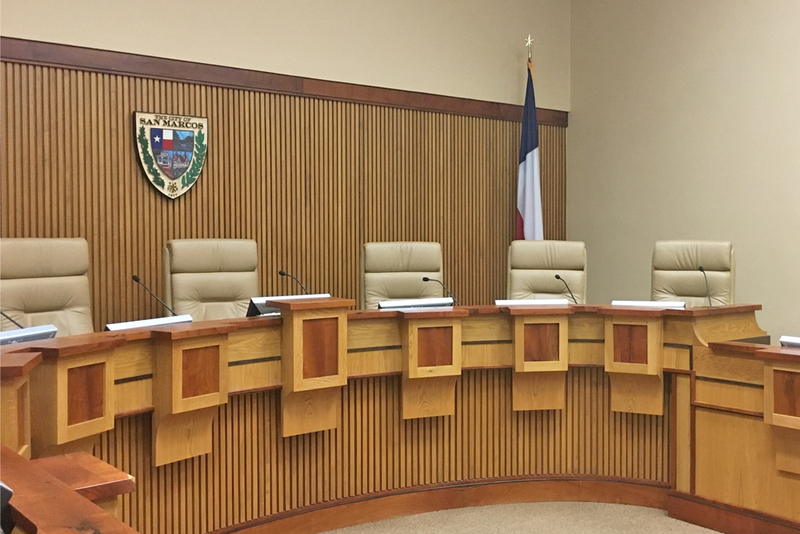 NEWS ALERT: San Marcos City Council Schedules Special Meeting, Second Thoughts On SB4 Fight? The San Marcos City Council has scheduled a Special Meeting to reconsider their official position on Senate Bill 4 and file an amicus curiae brief in a lawsuit that has been filed by other Texas cities against SB 4. SB 4 is Gov. Abbott’s “Anti-sanctuary cities” bill, which goes into effect September 1. When the city council reconvened and went into their regular session, Mayor John Thomaides read an official statement from the city council. Following the reading, the council unanimously voted against joining the complaint with other cities in the state. An amicus curiae brief is when a person or group, who is not a party to an action but has a strong interest in the matter, will petition the court for permission to submit a brief in the action with the intent of influencing the court’s decision. The special meeting is scheduled for Tuesday, August 22 at 8 AM at City Council Chambers.